Written on February 17, 2016 . Posted in Architecture and Design. 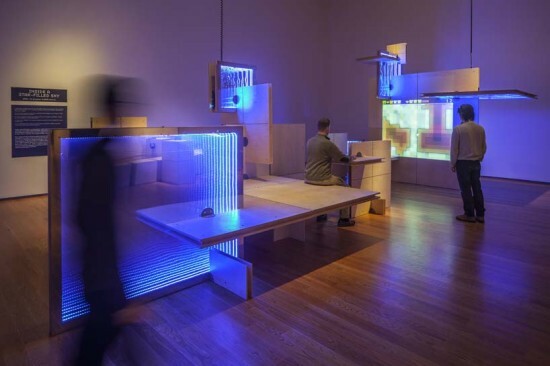 Yugon Kim (Critic, Interior Architecture) is the designer of a new exhibition, The Games Worlds of Jason Rohrer, currently on display at the Davis Museum (106 Central Street) at Wellesley College until 26th June 2016. 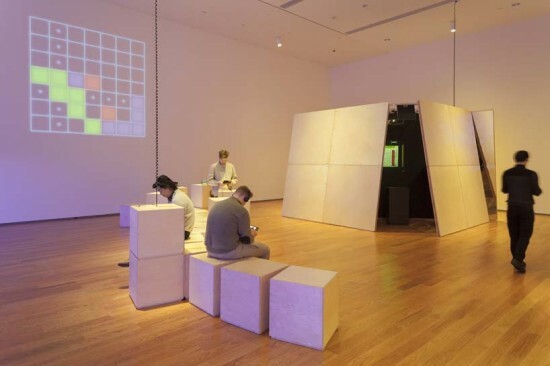 The exhibition is a retrospective of the independent game designer Jason Rohrer whose work has formed part of the Museum of Modern Art’s initial video game acquisition. It is thought to be the first known example of a museum exhibition devoted to a single video game artist. The central theme examines where video games are positioned within our daily culture and questions whether or not video games are art. The space is designed around three large installations that both create immersive environments to enhance game-play and form an interpretation of the games themselves. It also challenges the traditional notion that exhibition design should sit quietly behind the exhibited work. 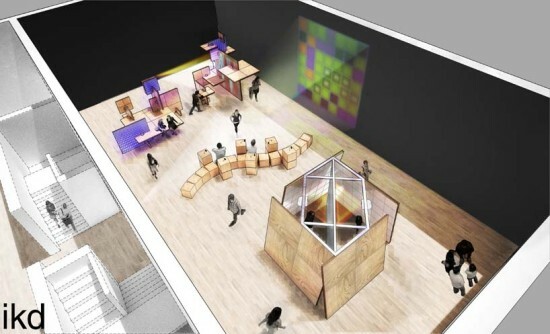 While the design is centered on creating a focus on exhibited works The Games Worlds of Jason Rohrer explores new possibilities in exhibition design. More information on the exhibition can be found here. More information on Yugon Kim can be found here. New York Times review of the exhibition can be found here. Boston Globe review of the exhibition can be found here.